Bendy and the Ink Machine has been intriguing all who play it since its first chapter released back in February. This crowdfunded puzzle-horror title, while only two chapters in, appears to be inspiring many gamers with its unusual, yet highly ominous plot. 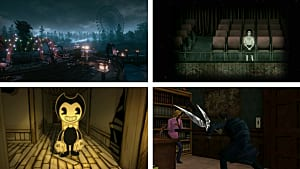 Horror games can bring forth some great content for us to watch, but Bendy's rosey, yet blatantly sadistic face has captured the imaginations of a number of people. You may have seen the big let's plays, explanation videos and the catchy songs but here are 7 videos that may (or may not as the case may be) have passed you by. Let's start with something that will give us a bit of a laugh first. Videos like these always seem to tickle me in all the right places because of the very simple editing techniques. The title brings us in, and the video does the rest. 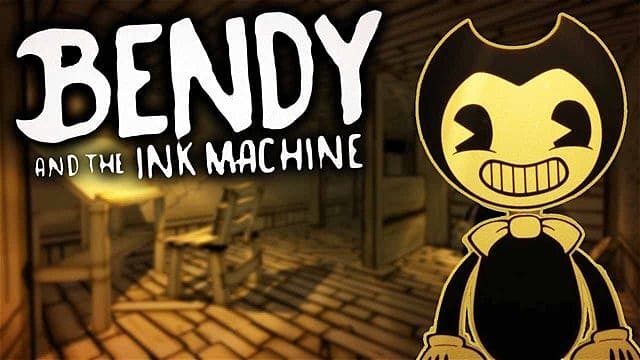 You may have heard of the mind behind this series of videos before, so the formatting may be familiar, but what we get from this helps us to see Bendy and that creepy studio in a more light-hearted manner. 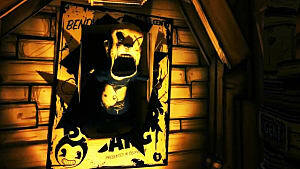 The jumpscare of Bendy revealing himself in all of his ink-infested glory terrified some people more than others. This particular video takes us through a few of those with varying results. From barely batting an eyelid to a full grown man giving babies some competition in their screaming capabilities, a whole host of reactions lie within. If nothing else, it's interesting to see how the same thing can affect certain people in radically different ways. I'd like to say that I'd sit in the middle. I wouldn't be standing there laughing at Bendy, but I don't think I'd be letting out my high-pitched little girl scream either. We've just seen how to make the game not scary, but things take a whole new turn in this video, and when it says weird, it really means it. SpongeBob Squarepants cameos, Goofy being a child killer -- this content creator let their imagination take a dodgy turn. I'll admit, I got a few giggles out of this, though. What can I say? My humour isn't so sophisticated. Bendy and his psychotic friends have inspired all sorts of creative minds so it's no surprise that we eventually got this. Part two even got made so go check it out after being thoroughly weirded out by this one. Speedrun videos are always a good way to generate views. 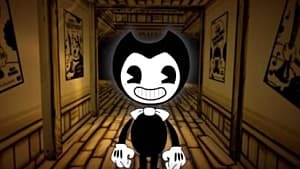 Bendy and the Ink Machine's first two chapters aren't excessively long to begin with, but they initially play out much longer than what our speedrunner shows here. In true speedrunning fashion, quick turns, superhero jumps and knowing exactly where to look for items comes naturally to this gamer. After playing through the game yourself, it's a nice bonus to come to a video such as this just to realize how short the content can really be. A game that sells itself on its atmosphere quickly becomes minutes long thanks to speedrunners. Another classic video type that gamers know all too well -- things you missed. On our first playthrough of any game, missing small details is a regular occurrence as we are simply trying to take everything in that we see. 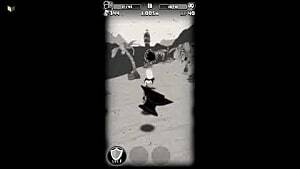 Once we begin to play multiple times, though, our attention deviates from the obvious to the not-so obvious, as shown in this video. Some of these are more obscure than others, but noticing things like this causes us to realize just how meticulous developers are in making their games, no matter how big or small they might be. In the same vein as the previous video, we have the "things you didn't know" category. These are slightly similar but they regularly go into more detail about the game's context and surrounding ideas about influences and the like. To finish off, we are thinking about the next chapter that fans are craving so desperately. The story of Bendy and the Ink Machine has caused gamers to ponder on many of the questions that still remain unanswered. What happened to Bendy? Why is there so much ink? Is Boris friend or foe? It's been a few weeks since chapter two was released, so fans are taking the initiative to tease their own thoughts on what could happen next. What actually will happen next? Are you excited to find out? Share your thoughts about Bendy and the Ink Machine in the comments below!